Marshall Weber and I went to the North Beach on Tybee twice yesterday - once on the outgoing tide in the morning and then again just before the 6 pm high tide. We saw the usual suspects - Royal and Sandwich Terns, Laughing, Herring, Ring-billed, Lesser Black-backed, and Great Black-backed Gulls, as well as Black Skimmers. 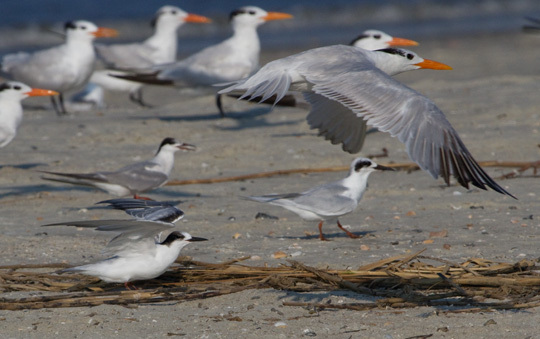 Also present were several Caspian Terns and more than a dozen Common Terns. 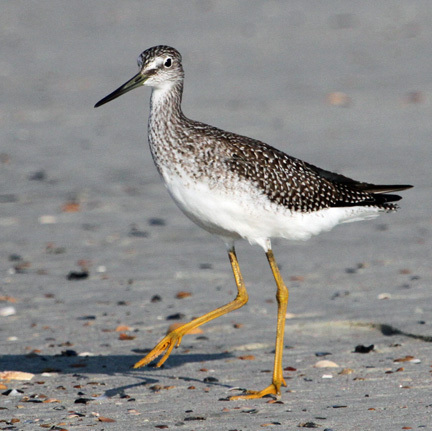 One treat was a handsome Yellowlegs. 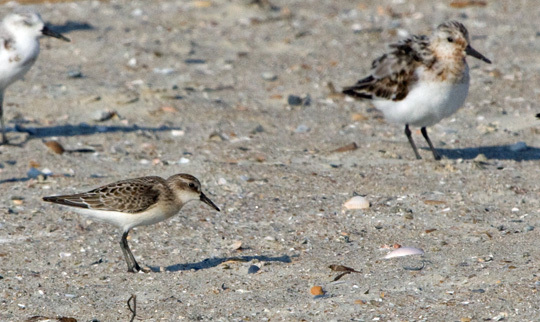 My first thought was Lesser and we heard it call "tu-tu" – two short notes. 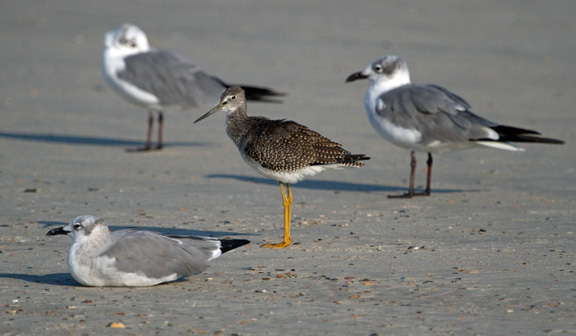 However, studying the size compared to the Laughing Gulls and the length of the bill, I am questioning my initial ID and wondering if it might not be Greater Yellowlegs. Thanks Nathan Farnau for the help. 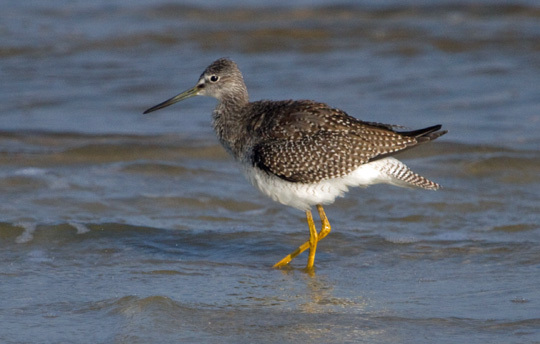 The Yellowlegs is a Greater Yellowlegs. Greater Yellowlegs - bill is long and two-toned, slightly upcurved. 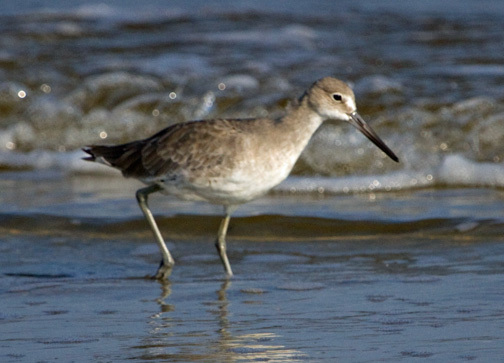 We also had a Willet feeding in the surf nearby. 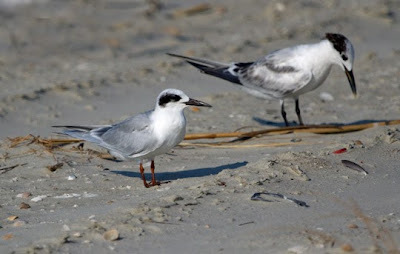 In the evening, we studied Forster's and Common Terns. 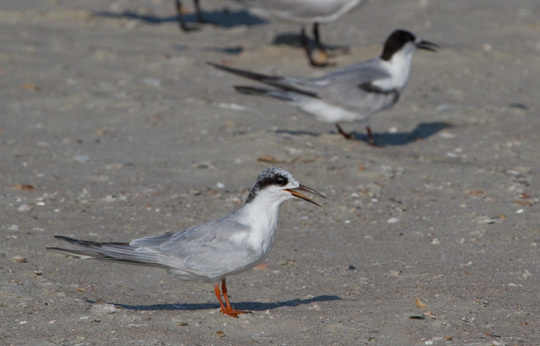 When the Forster's Tern had molted to show the black eye patch, it was easy. 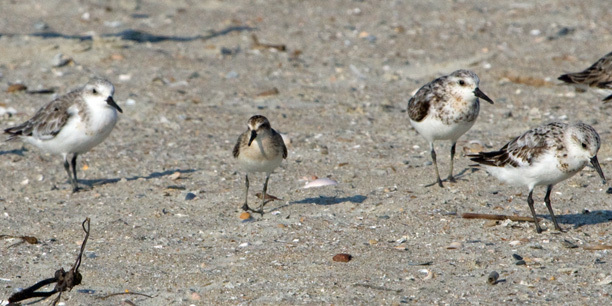 There was one bird that was tending in that direction that I thought was also a Forster's. 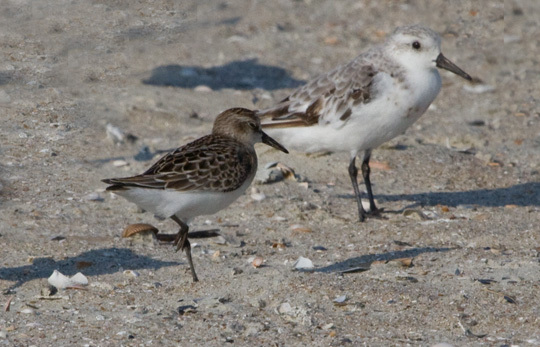 dark cheek and cap, we decided on Semipalmated Sandpiper.